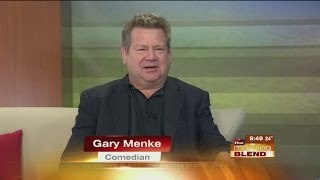 Gary Menke, aka "The Menker" knows comedy! A veteran in this business, he has worked rooms from coast to coast! You may have heard or seen him on XM Radio or Comedy Central. He has been on tour with Dave Attell and opened up for musician Michael Buble. From abusing intoxicated people to "The Laughing Buddha", his comedy will leave you laughing so hard that your drink might just come out of your nose! Whatever the case may be, Gary’s humor is very observant mixed with a splash of edge! "The Menker" is a name you will come to enjoy and love!